Kochi will be the first Indian city where water connectivity will be developed as a feeder service to the Metro rail. 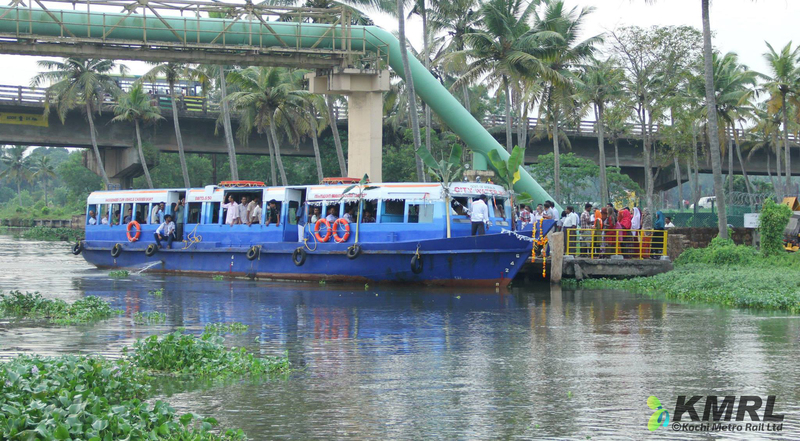 New boats which will be procured for this project will provide the same transportation experience as the Metro,and will be called 'Water Metros'. The Kochi Metro Rail Limited (KMRL) signed a loan agreement with Germany-based KFW Development Bank (KfW),on 18th June, to implement the Rs 819.27-crore integrated water transport project in the Greater Kochi region. Apart from the development of the ferry service, the project proposes development of the existing and new access roads providing increased accessibility to the jetties and enhanced mobility within the islands,infrastructure for ensuring safety and security to all its users by way of active and well-lit streets and CCTV cameras.